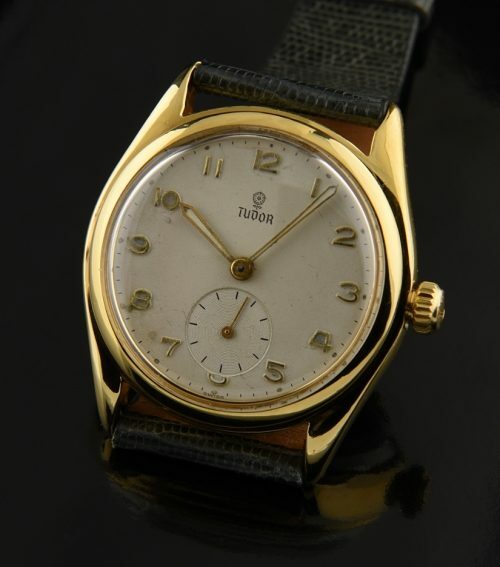 This is a 1950’s gold plated TUDOR having the desired small rose ORIGINAL dial. 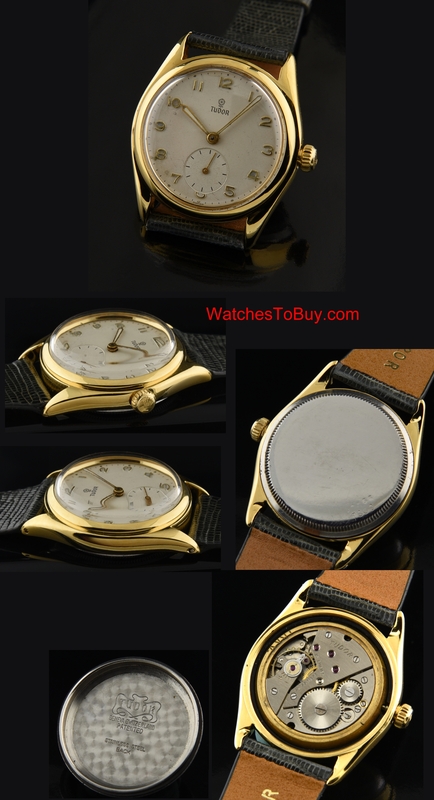 It is uncommon to find these dials in original and clean condition such as this. Notice the raised Arabic numerals and small rose insignia. The ROLEX OYSTER crown was replaced with a fresh ROLEX crown for smooth screw-down. The 34mm. gold plated case with original steel back gleams. The manual winding movement was just cleaned and is accurate.